On Saturday, December 17, 2016, Tobias A. 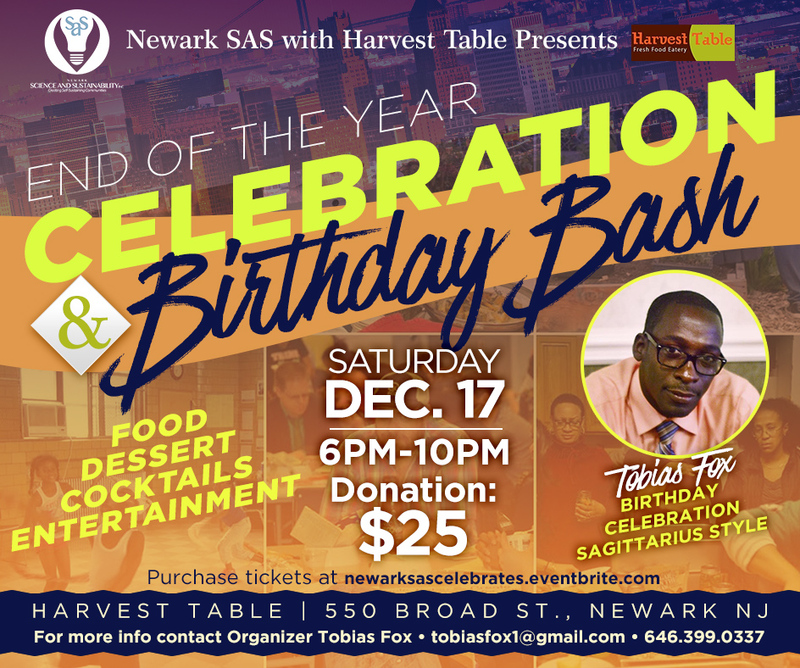 Fox, Founder of Newark Science and Sustainability, Inc. (Newark SAS), in collaboration with the Harvest Table eatery located at 550 Broad Street, Newark, NJ 07102, will be rolling out the green carpet to celebrate the success of Newark SAS as well as Fox’s birthday, and raise money for projects planned in 2017. “We have a lot of events planned for 2017 and in order to bring in the New Year with a leading start we need the support of the community. And to top it off, people will help me celebrate my bday, Sagittarius style,” states Fox. For a minimum donation of $25, you will enjoy a full course meal, dessert, cocktails and entertainment. 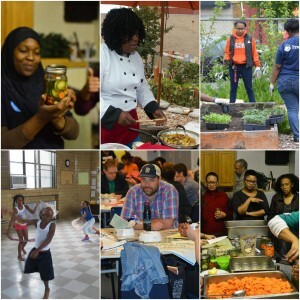 Since 2012, Newark SAS has conducted free workshops on renewable energy, along with organized community events on wellness and nutrition education, urban agriculture, ecological building and eco-art. “They’re a great grassroots organization and we at the Harvest Table want to support in any way we can,” states Carissa Borraggine, restaurant owner. 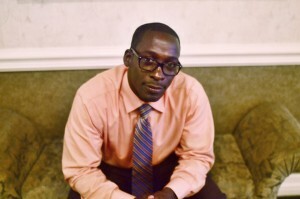 Borraggine operates two restaurants in Newark’s business district. This event will take place at the 550 Broad Street location from 6:00 p.m. until 10:00 p.m.
Newark SAS implements various initiatives to increase awareness of environmental issues through educational programs and hands-on training. We strive to assist with the creation of self-sustaining communities by developing pathways for green jobs that contribute to self-sufficiency and community empowerment. We are achieving this by partnering with residents, community based organizations and stakeholders, including local businesses. Posted in Blog, Community Gardening, Glocal, Sustainability, Urban Agriculture and tagged Celebrate, Community, Environmental, Newark, Science, Success, Sustainability.